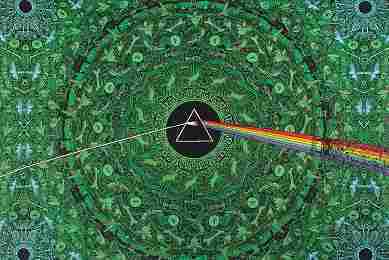 Dedicated fans will be able to pick out the Pink Floyd song lyrics that are interwoven into the intense artwork of this tapestry. Keep looking, the more you look into them the more you can see, as the intricate details spiral into each other. The green in this tapestry is hypnotic. 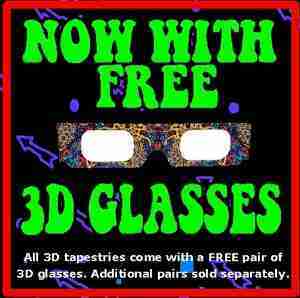 The rainbow of colors jumps out at you with 3D glasses (sold separately).